Typically on Sundays we are joined by a store full of families stopping by for shopping plus fun and games. There is an on going hula hoop challenge, hands on test and play area, football toss championship, registration for an extreme ride on car giveaway and a count the lollipops in the jar contest. Always animal crackers for the kiddos and a hot cup of coffee and ginger snaps for adults. If your Toto is joining us, there are dog treats for our canine friends too. The weekend brought one storm cell after another resulting in two days of threatening skies. So, okay, there was rain in the form of very heavy downpours, but the show must go on, right? Megan, first to arrive, discovered no lights, aka a power outage which we later learned had even affected the airport. The power luckily was quickly restored (possibly because we are so close to the airport) and we all continued with business as usual. But, where are all of our guests? Sidebar: Glinda the Good Witch of the South of us (Annette) reported that from her observation of the few folks that did drop by, the well-behaved (Munchkins) children stayed home yesterday. Our staff scarecrow, lion and tin man were checking the yellow bent signs. It was not until driving home that I learned of a severe tornado touchdown in North Minneapolis. We heard no warning sirens and no one even mentioned or called to inform any of us of possible danger. Several rotating supercells spawning a few tornadoes touched down across the Minneapolis area on Sunday afternoon. The tornado or tornadoes tore roofs off buildings, downed power lines and toppled trees blocking streets. Early reports estimated the tornado touched down for around 30 minutes across the metro area. The Associated Press reported one person was killed, 30 others hurt and at least 100 homes were damaged by the storm. Last night a curfew was imposed in the stricken area and 7 schools are closed today. Cub Foods to Host BBQ for North Minneapolis Tornado Victims tonight at 5PM at 701 W. Broadway . The food was donated by Cub Foods, General Mills, Kemps, Oscar Meyer, Jerry’s Enterprise and Pan-O-Gold Bakery. For up-to-date information about North Minneapolis clean-up needs & activities, please visit UHW’s Facebook page. The Club will be open to families to have a meal. Lunch at Jerry Gamble Boys & Girls Club from 1-4 today. El-Amin’s Fish House (2221 West Broadway) will be serving food from 2-6pm. Free meals served to all affected by the tornado. Please also bring non-perishable food items or monetary donations for families in need. Kids Closet offers free childrens clothing. You can come and shop on Thursday for free clothing for your children if you are in need. A 1930’s magazine advertisement for Kellogg’s PEP breakfast cereal. Did I hear a gasp….? Below is a classic 1930’s kitchen set just like one this peppy, hardworking housewife may have proudly used every night for serving a delicious hot dinner to her adoring husband. That is after a full day of the cooking, cleaning and dusting was completed. She looks so cute! The times and rules may have changed, but the plans used from the 30′s to 50’s to build these kitchy kitchen sets have been pulled out of the archives, and put back into production. 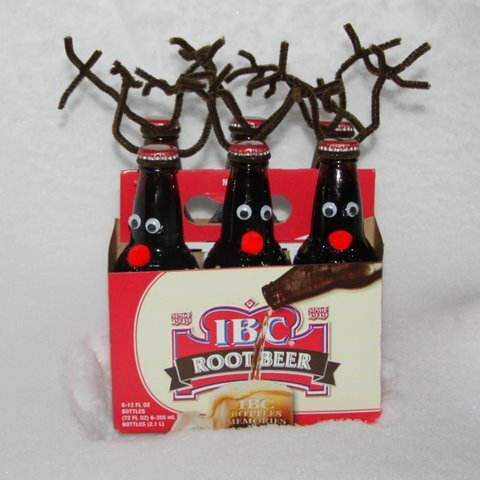 So now you can have one in your home too. Recipe Curio found this vintage cookbook that was published by Spry Vegetable Shortening. There is a Good Housekeeping Bureau seal dated 1935 on the back cover, most likely the date the cookbook was released. It contains lots of recipes for healthful deep frying, cakes, cookies, desserts and other yummy things you may never have dreamed of! Thanks & Giving could begin with donating much needed blood. 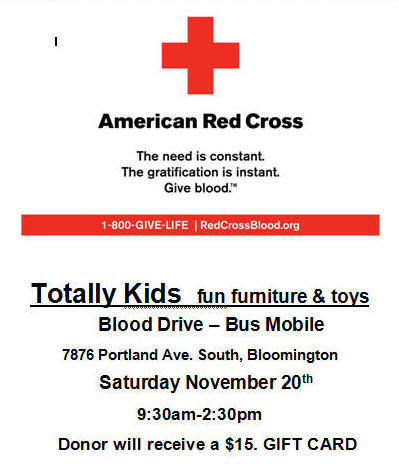 Team Totally members are all donating blood and hope that you will join us on Saturday to help save a life. It always helps us to know in advance when you are coming in to make a donation. Additional information about the blood donation process is available here. 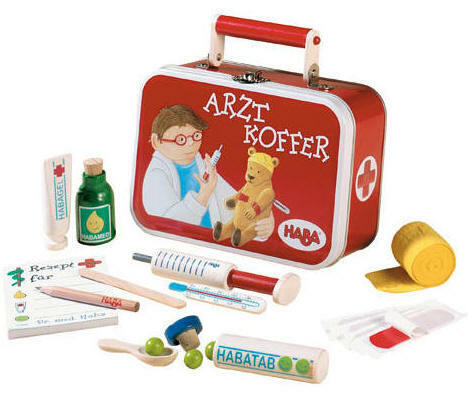 Put on your scubs and write a prescription for pretend fun with this doctor’s case from Haba. Twin Cities Got Blood? Tweetup! Who: You and all of your friends, especially the ones that are on @twitter. What: Come to Twin Cities Got Blood? Tweetup. There is no conference or speaker or discussion. Just come and hang out. Bring business cards, don’t bring business cards, it doesn’t matter. Just show up, meet new friends and have fun! You give the blood – we give the “Blood”y Marys & Mimosas (virgin for this event), coffee, oj, pastries and fruit. All donors will receive a $15.00 Gift Card. When: Saturday, November 20th 2010 @ 10A.M – 3P.M. Why: Save Lives and have fun. Please tweet all of your friends! 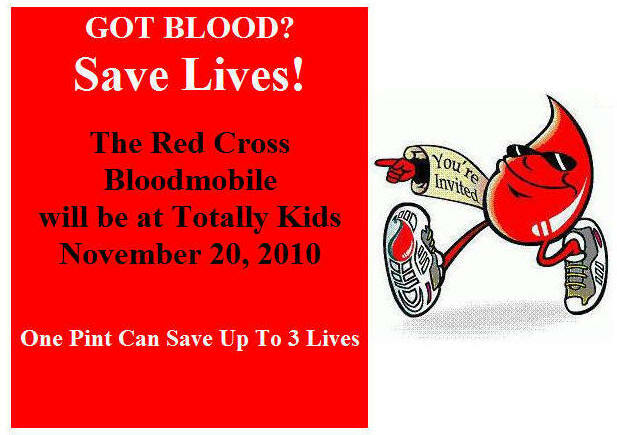 All donors will receive a $15.00 Totally Kids Gift Card after they have given their blood. Yes, even employees! 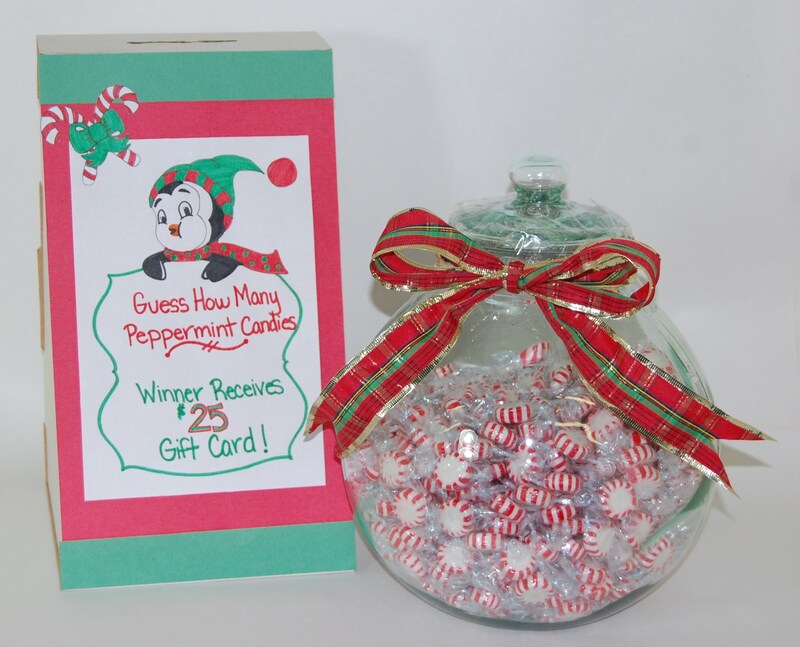 The Gift Card makes a super holiday gift! 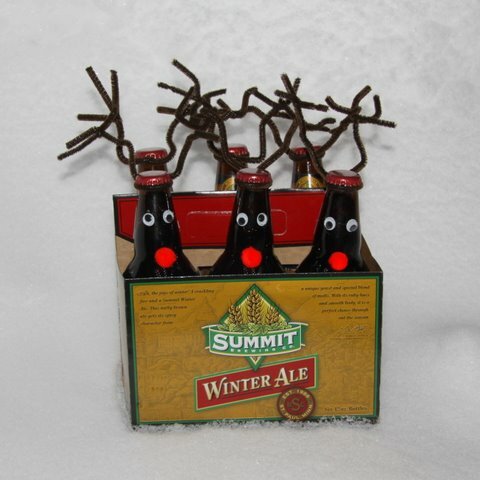 Be sure to drink plenty of fluids the day of your donation. If possible, include iron-rich foods in your diet, especially in the weeks before your donation. Please bring either your donor card, driver’s license or two other forms of identification. Blood donation is a simple and very safe procedure so there is nothing to worry about.